David Craggs joins Mike Ripley at the Harper Collins offices in London to find out more about the paperback version of Kiss Kiss Bang Bang and why those of us who have the hardback should buy it. Best known for his award-winning ‘Angel’ series of comic thrillers, Ripley reviewed almost 1,000 crime novels in a twenty year span as a critic for the Sunday and Daily Telegraph and the Birmingham Post, as well as contributing to The Times, the Guardian and numerous magazines. 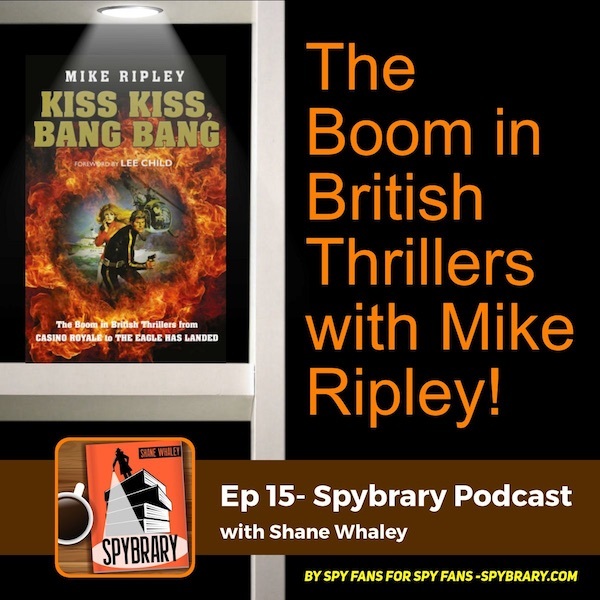 Mike has probably read more spy books than anyone else on the planet and in his book, already out in the UK and with a release date of September 19th here in the USA he takes us on an exciting odyssey through the thriller landscape. What is Kiss Kiss Bang Bang all about then and why do Spybrarians rave about it? 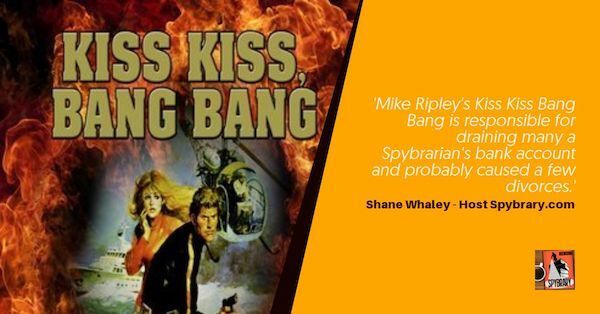 In Kiss Kiss, Bang Bang, Ripley examines the rise of the thriller from the austere 1950s through the boom time of the Swinging Sixties and early 1970s, examining some 150 British authors (plus a few notable South Africans). Drawing upon conversations with many of the authors mentioned in the book, he shows how British writers, working very much in the shadow of World War II, came to dominate the field of adventure thrillers and the two types of spy story – spy fantasy (as epitomised by Ian Fleming’s James Bond) and the more realistic spy fiction created by Deighton, Le Carré and Ted Allbeury, plus the many variations (and imitators) in between. Mike Ripley Getting Away with Murder Monthly column. Highly recommended. 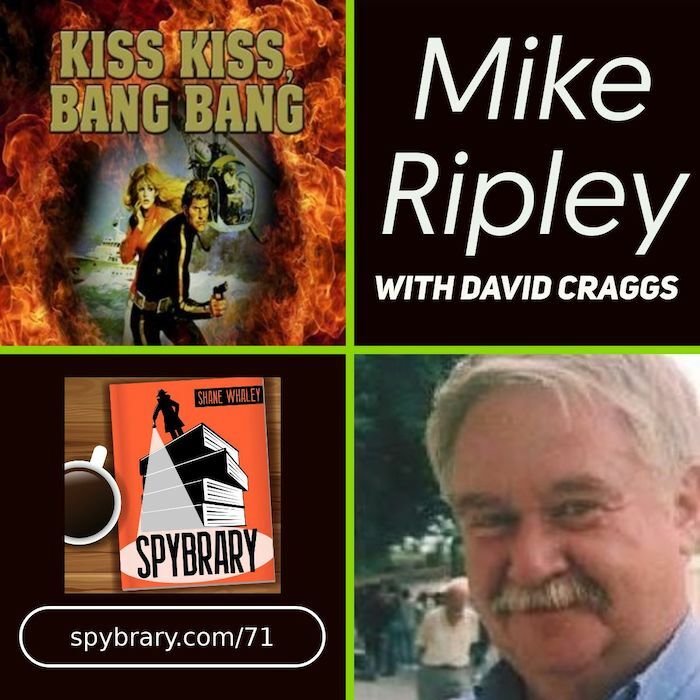 MIke Ripley, author of Kiss Kiss Bang Bang talks to Spybrary way back on episode 15. 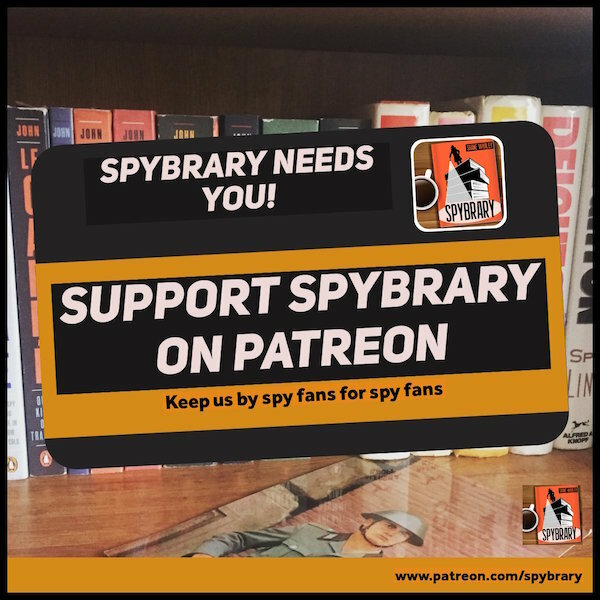 If you enjoyed today’s spy fiction chat with Mike Ripley and David Craggs then you will love the Spybrary Facebook Group. Join here. Free Agent by Jeremy Duns (Commentary) Ep 74. 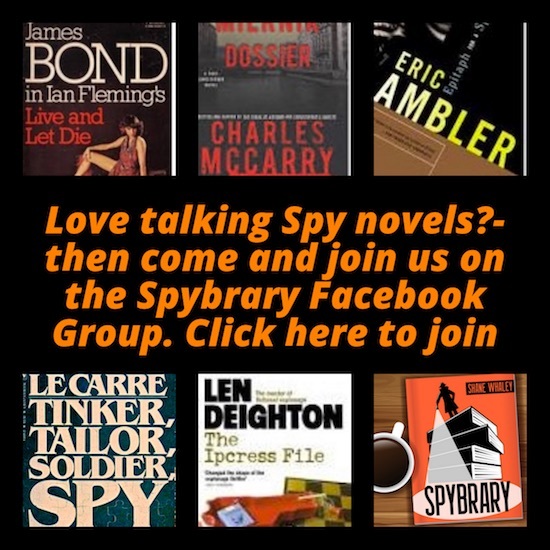 Fiction and Espionage – University of Edinburgh Intro.